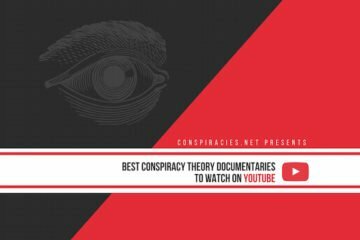 Below is a list of the best conspiracy movies which have links to popular themes in most conspiracy theories. 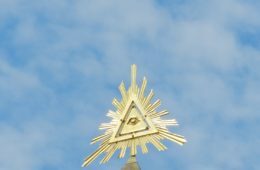 That all is not as it seems and that there is a plot by the few to pull the wool over the eyes of the many is a prevailing theme in any conspiracy theory. The list has been narrowed down to 5 of the best conspiracy movies with a mention of a number of items which did not quite make the cut. V for Vendetta is a 2005 film set in a dystopian future, written by the same people who brought the Matrix trilogy to life – The Wachowski Brothers. The film has numerous links to conspiracy theories of all kinds. 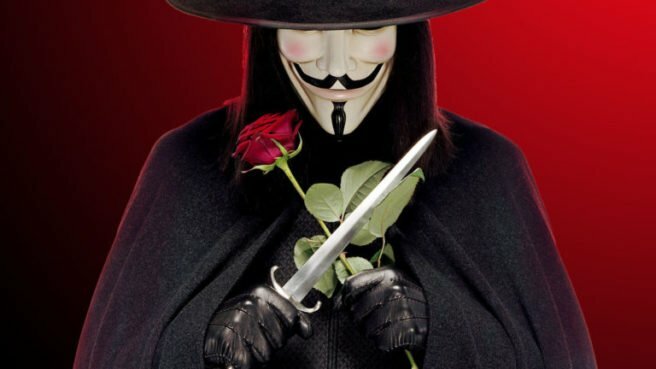 The famous white mask used by terrorist/human rights activists group Anonymous is based on this movie. The mask is initially based on the actions of Guy Fawkes, who used it while attempting to blow up the house of lords in 1605 to return to a Catholic regime. The movie itself repeats the event. The movie is set in the future in Britain where George Orwell’s 1984 has more or less happened. The news Is completely controlled and manipulated by the fascist government who are quick to remove any perceived threats to its power. The movie is very popular with libertarians and anarchists who believe that this is happening right now. It is a common belief among these individuals that the government has too much power and must be stopped before it gets too much control into the private lives of citizens. The protagonist of the movie, V, was the subject of biological experimentation at the hands of the government. It is later revealed in the movie that the British Prime Minister, Creedy, released a virus onto English soil, resulting in the deaths of 100,000 British citizens. After the virus, the government swiftly increased its powers. The movie ends with the explosion of parliament as thousands of Londoners march past the military forces, who would have presumably shot them down if the orders had been given. With the two main officials dead, the military does not receive any orders to detain the civilians who match towards parliament before it explodes. The movie touches on multiple conspiracy themes as well as being a social commentary. 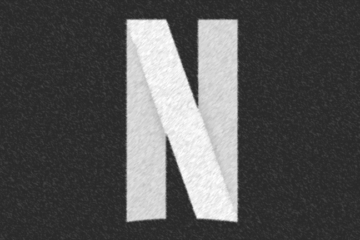 It features a citizen who gets sent to prison and experimented on to fix her lesbianism, a government which spies on its citizens and delivers controlled propaganda, a disempowered population, illegal secret medical experiments, a citizen executed for possessing a copy of the Quran; a government which released a virus on its own soil and an eventual descent into anarchy. It touches on a variety of past and current events including many references to the Bush Administration, the abuses of Abu Ghraib prison, the Holocaust, the Nazis, antisemitism, and the works of George Orwell and Frederick Nietzsche. And it does it all while still having a captivating story and well-structured plot featuring a romance between the two main characters, V and Evey. 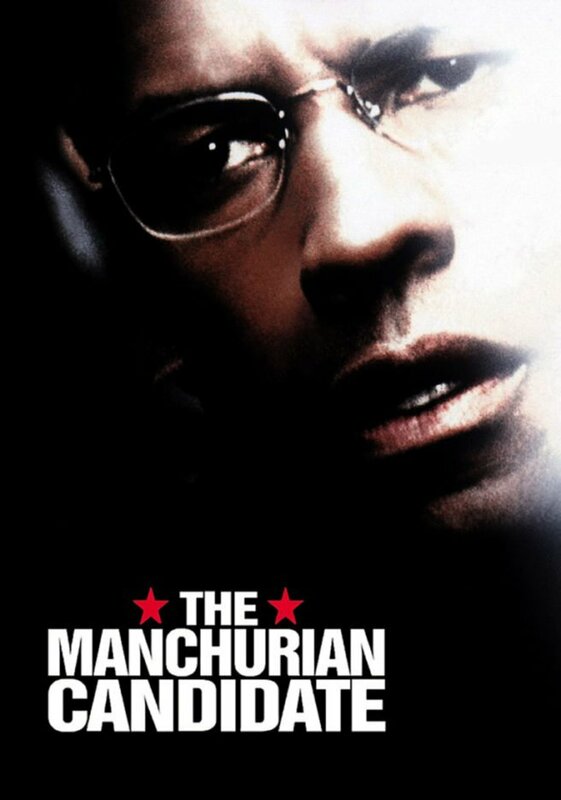 The Manchurian Candidate is a 2004 political science fiction movie starring Denzel Washington, Meryl Streep and Live Schreiber. The plot features government implants, mind control, assassinations and covert operations by American Intelligence agencies. Marco (Denzel Washington) is an army officer who was rescued by the commander of his unit, Shaw (Schreiber). Shaw was awarded the medal of honor and went into politics. Marco begins to doubt what happened when a former officer contacts him stating he suffers from disturbing dreams about the incident. Marco starts to investigate what actually happens and discovers an implant in his back and afterward discovers an implant in Shaws back, who is running for vice president. The implant is connected to a corporation known as Manchurian Global which has multiple political connections. Marco recognizes individuals from his dreams that are associated with the Manchurian Corporation. Shaw’s mother (Meryl Streep) activates Raymond and orders him to commit murder against those who want him out of the political race( “Activate” being a term used to indicate mind control through the utilization of the implant). Shaw’s mother Eleanor then activates Marco and commands him to assassinate the president elect so Shaw can become President. The activation is done through trigger words which are coded into the consciousness of the individual. Shaw beings to gain resistance to the trigger words and mind control. While Shaw is dancing with his manipulative mother, he moves into the position where the president-elect was supposed to be and gives Marco, in hiding, the nod to shoot. Marco shoots, killing Eleanor and Shaw. While preparing to commit suicide as instructed, the FBI catches him. The FBI protect Marco’s innocent by framing a deceased Manchurian Candidate contractor. The film touches on the current conspiracy trend of mind control (think MK-ULTRA) and government subterfuge, paving the way for the later Bourne trilogy. 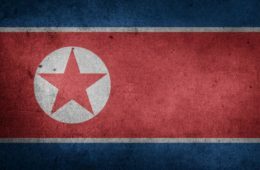 The idea of sleeper agents who have been conditioned by hypnosis and pain therapy has grown larger and is a theme increasingly found in popular culture. Such projects have been rumored to exist with regard to mind control. However, any such efforts with attempts to effectively control the mind of a human being over a number of years with trigger words can only be clumsy at best, and not at all as smooth as what the film suggests. In the original Manchurian Candidate, the Communists brainwashed the assassin to do their bidding. The term “Manchurian Candidate” has come to denote the suggested 2 million Americans who have been mind controlled and are sleeper agents, deadly killers who will kill if the trigger words/codes are given. The theory was tackled in episode 6 of Jesse Ventura’s Conspiracy Theory Series. • The androgyny of the Mona Lisa reflects the sacred union of male and female implied in the holy union of Jesus and Mary Magdalene. Such parity between the cosmic forces of masculine and feminine has long been a deep threat to the established power of the Church. 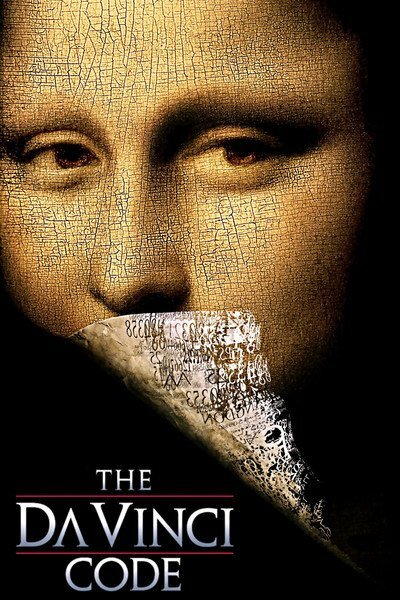 The name “Mona Lisa” is actually an anagram for “Amon L’Isa”, referring to the father and mother gods of Ancient Egyptian religion (namely Amun and Isis). • The Holy Grail is not a physical chalice, but a woman, namely Mary Magdalene, who carried the bloodline of Christ. • The Grail relics consist of the documents that testify to the bloodline, as well as the real bones of Mary Magdalene. • The Church has suppressed the truth about Mary Magdalene and the Jesus bloodline for 2000 years. This is principally because they fear the power of the sacred feminine in and of itself and because this would challenge the primacy of Saint Peter as an apostle. • At the time of the Crucifixion, Mary was pregnant. After the Crucifixion, she fled to Gaul, where she was sheltered by the Jews of Marseille. She gave birth to a daughter, named Sarah. The bloodline of Jesus and Mary Magdalene became the Merovingian dynasty of France. • The existence of the bloodline was the secret that was contained in the documents discovered by the Crusaders after they conquered Jerusalem in 1099. The Priory of Sion and the Knights Templar were organized to keep the secret. This movie will heavily appeal to the nature of conspiracy theorists in general. It features cryptic messages, codes and symbols, intrigue, twists, cover-ups, assassinations, Knights Templar, Illuminati and a great lie told about the world’s largest religion. Critics accuse Brown of fabricating the story, with some stating it to be a hoax based entirely on the writings of Pierre Plantard, who founded the Priory of Sion in 1956. 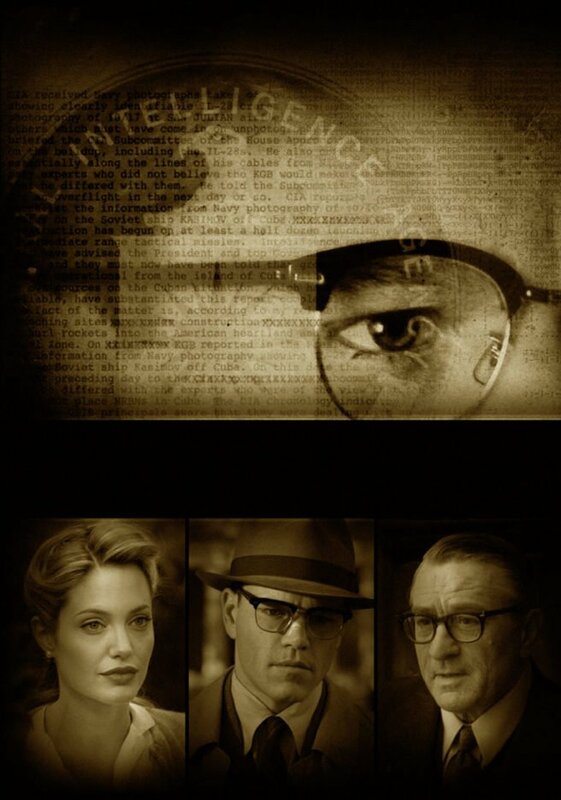 The Good Shepherd is a spy movie starring Matt Damon, Angelina Jolie, Alec Baldwin and Robert De Niro. It is directed by Robert De Niro and outlines the history of the world’s most popular conspiracy punching bag organization – the Central Intelligence Agency (“CIA”). The story begins with CIA official Matt Damon in 1961 after the failed bay of pigs invasion. It then flashes back to 1939 where Edward (Matt Damon) is a poetry major at Yale University and gets invited to the Skull and Bones society. While on Skull and Bones island Edward is asked to join the OSS with a post in London. FBI agent Sam Murach (Alec Baldwin) claims that Edwards professor is a homosexual and a Nazi spy, and asks Edward to expose him. Edward does so, and the professor resigns. While in London he meets his professor who was actually a British intelligence operative who had sought to infiltrate a Nazi organization while at Yale. The professor (Frederick) recommends that Edward be trained in counter-intelligence. A British superior intelligence officer tells Edward that Frederick’s open homosexuality poses a security risk, and Edward is asked to deal with his mentor. Edward asks him to return to teaching, which Frederick says he won’t do, and it promptly murdered and thrown into the Thames. Edward would spend 6 years in London before returning to his wife and son. Edward is asked to help set up a new intelligence agency, the CIA. At the end of the movie Edward is shown pulling out a note from his safe, only now reading the suicide note left by his father. The letter reveals that Edwards father, also a spy, had betrayed his country, and urged Edward to grow up to be a good man, living a life of decency and truth. Edward had done none of those things except commit to a life of lies and espionage. This movie is more akin to a documentary on the inner workings of intelligence agencies, where lies and subterfuge are not a conspiracy theory for are the nuts and bolts of the espionage trade. 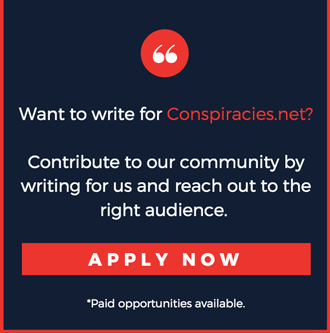 Or, putting it another way, conspiracy theories are the currency that spies deal in, and they need to determine which are true and which are false. 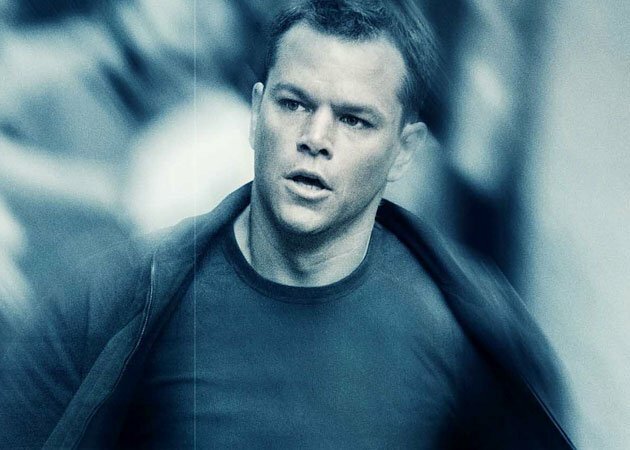 A best conspiracy movie list would not be complete without including at least one representative of the Bourne Trilogy. The Bourne Identity was released in 2002 as based on Robert Ludlum’s novel. It features Jason Bourne (Matt Damon) who suffers from severe memory loss but who has incredible skills as a sleeper agent /Manchurian candidate. Jason is found drifting afloat in the sea by Italian fisherman with two bullet wounds. He does not know who he is but still has the capacity to speak a number of languages and also has combat skills. On hip is a laser projection which gives the number of a safety deposit box in Zurich. The plot continues from there as Bourne picks up the clues in order to establish who he really is and what happened in the past. He finds a passport, a driving license and a sum of money in various currencies within the deposit box in Zurich. After the CIA are alerted to the Zurich withdrawal, three agents are hired to dispose of Bourne, who should have been taken care of properly in the first place. The driving license has Bourne’s picture with an associated address in Paris and the name John Michael Kane. Bourne finds out that Kane had died in a car crash two weeks previously. At the end of the movie, Bourne remembered that he was supposed to execute an African dictator but failed to do so when he saw that children were present. He fled the scene and was shot while attempting to escape, and was later found by the Italian fishermen. The film is the most popular Manchurian candidate film to date and was the first to really bring the idea to public awareness. It was followed by two subsequent releases, The Bourne Supremacy and the Bourne Ultimatum. There was also a fourth and fifth movie in the Bourne series which did not receive as much attention. There are several other conspiracy movies that do not quite make the cut but have made quite an impact. Movies such as Fight Club and the Matrix trilogy both make commentaries on mind control and in particular the effect that social norms and advertising have on the human consciousness. 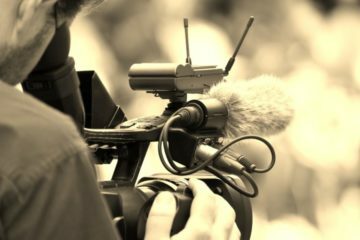 Television, in general, is viewed as a mind control device and if people could break free from these systems and free their minds, they would apparently enter a different, brighter realm of consciousness. This is a movie depicting the incidents of the infamous Watergate scandal, where President Nixon was found to have organized a coup to break into the Democratic national committee headquarters in order to wiretap the phones of his competitors. 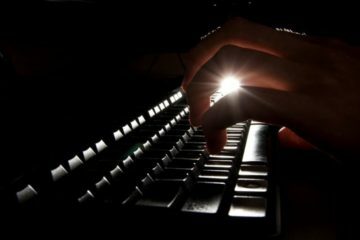 The story was initially uncovered by two journalists from the Washington post. Nixon’s attempts to cover up the coup were revealed when tapes in his own office recorded him giving the orders to cover his tracks. It is arguably the most widely publicized conspiracy scandal in history, and also one of the most badly executed by someone who is supposed to be one of the most intelligent people in the country. Nixon resigned due to the scandal. Is allegedly based on real events that occurred in Point Pleasant, West Virginia in the late 1960’s. The plot centers around a flying, dark figure which are reputedly reported in the area. The wife of the main character, a journalist, died after swerving to avoid this flying creature in their car. He had discovered mysterious drawings of the creature by his wife before she died. John becomes associated with a local police officer who keeps having dreams which say “wake up number 37”. It was held to be prophecy when 37 people died on the Ohio bridge. The cause of the failure on the bridge was never discovered and the Mothman was never seen again in Point Pleasant. Is a film which outlines the effects of antidepressants and the financial nature of the pharmaceutical industry. It involves a conspiracy by Emily (antagonist) to gain the estate of her husband and also involves a manipulation of the stock prices of certain pharmaceuticals. The plot was discovered by Emily’s psychiatrist, Johnathon ( the protagonist), who had his reputation destroyed after Emily murdered her husband, allegedly on drugs prescribed to her by Johnathon when he should not have let her out of the ward. She was faking her illness and even her own suicide attempt. It involves several turns and twists and the layers of lies and manipulations go as deep as any espionage movie. Is a film depicting the assassination of Reinhard Heydrich by Czechoslovakian soldiers in 1942. The film is based on true historical events. The two agents are parachuted into the region with little equipment necessary to carry out the assassination. The effort nearly failed with Heydrich left wounded. However, he later died from his wounds. The reprisals were terrible with a total of over 15000 Czech massacres in the aftermath of the assassination. The entire village of Lidice was destroyed with children gassed and all males over 16 were shot. Women were sent to concentration camps. Heydrich was only top level Nazi officer assassinated in World War II. The best conspiracy movies are usually documentaries about the inner workings of government, corporations and secret societies, backed up with sound reason and credible evidence. This is because the entities with the most power are home to the largest conspiracies and make decisions which affect the lives of many people. That said, entertaining movies which hint at conspiracies, such as V for Vendetta and the Da Vinci Code, can often be more effective because they are tied in with an entertaining plot-line and do not attempt to argue a point, merely create a story. This is what the best conspiracy movies do. 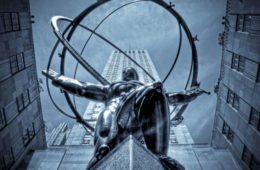 Next Article911 Was An Inside Job: Conspiracy or Truth?